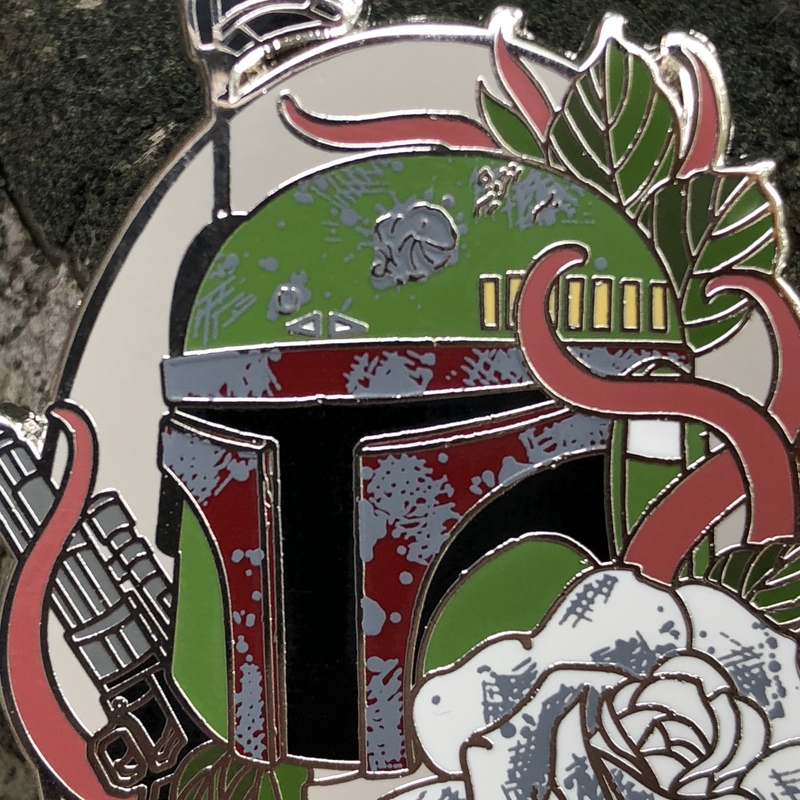 Boba Fett surrounded by Sarlacc tentacles and a rose as scuffed as he is. 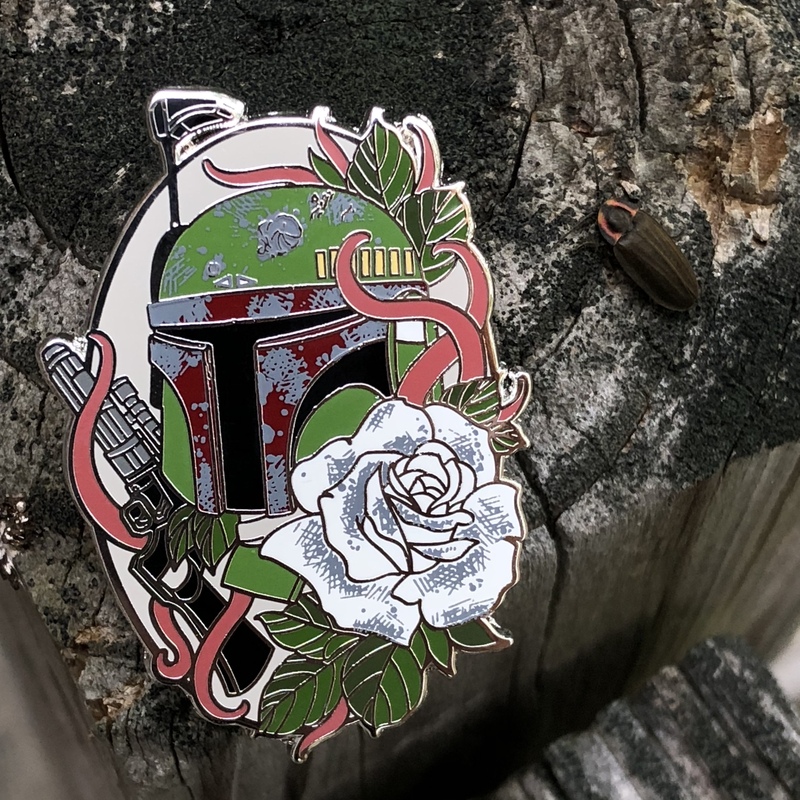 This pin is about 2” tall, is a shiny silver metal with hard enamel and a grey screenprinted ink. It also features two pin backs. Colors may vary slightly.